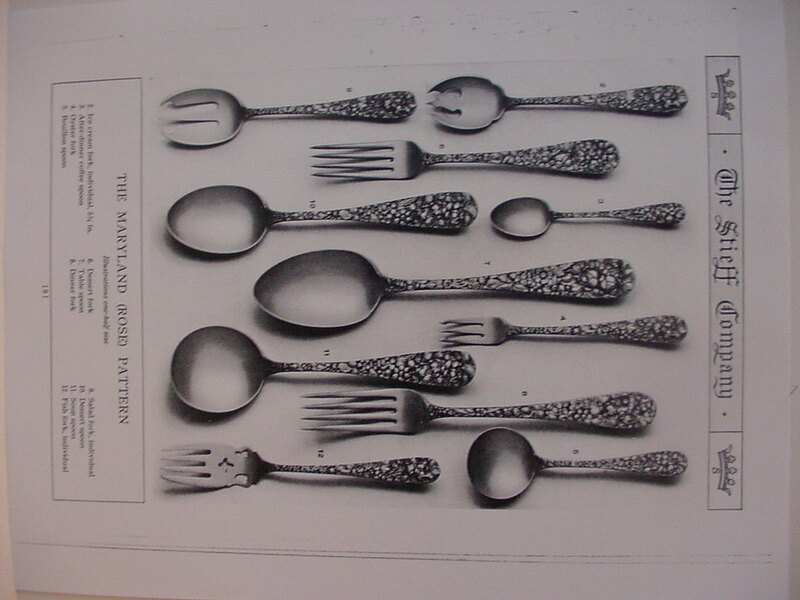 This pattern was introduced by the Baltimore Sterling Silver Co. c.1895-1900. 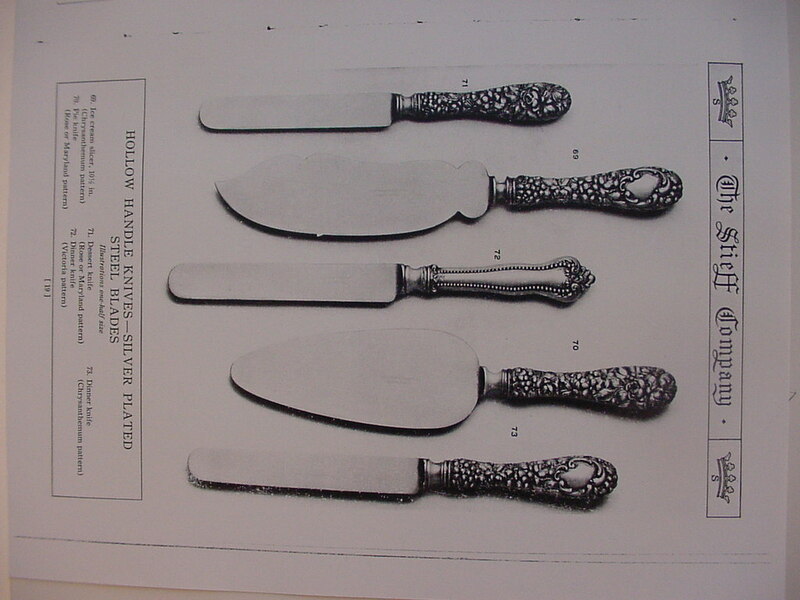 It would be unusual to find the pattern with the firm's crowned B trademark except on knife blades, and early pieces marked only sterling without a name or trademark are occasionally encountered. 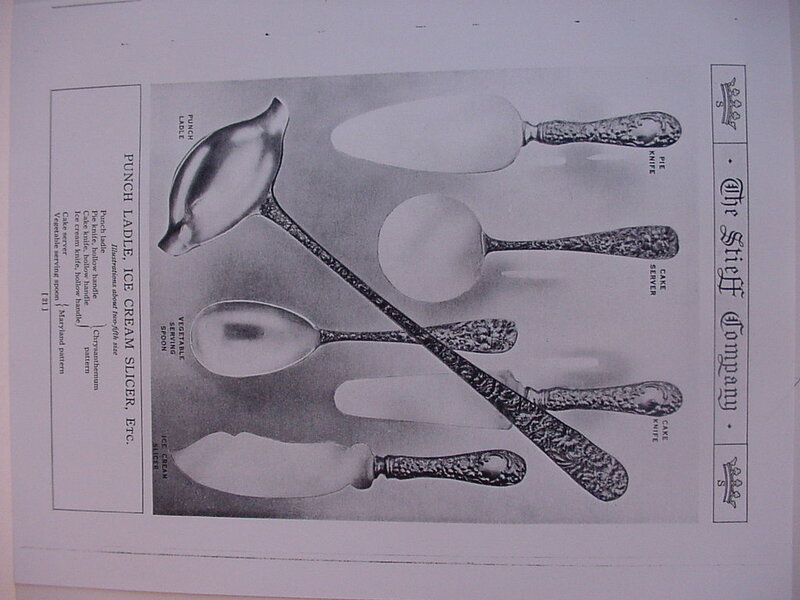 The crowned S trademark of their successor the Stieff Co. is sometimes seen on the early tea spoons but it is more usual to find Stieff spelled out on most pieces. 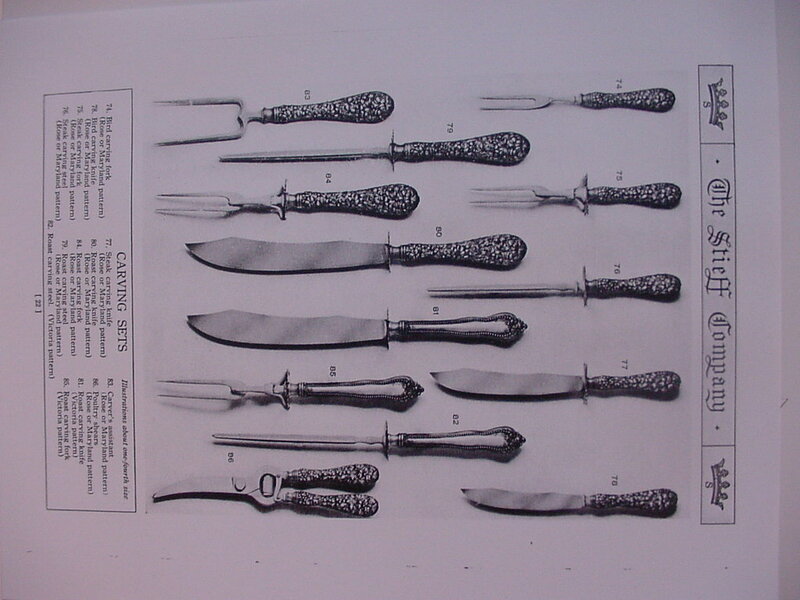 These pages are from a 1910 Stieff Co. Catalogue that lists the various pieces available at that time. 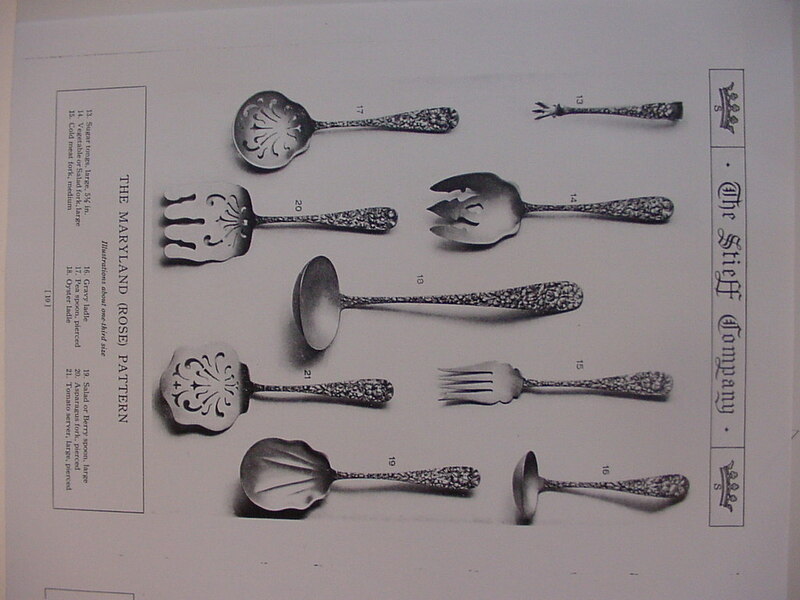 Note that the alternative pattern names of 'Maryland Rose' or 'Maryland' were being used at this time, but the 1920 Catalogue refers to it as only the 'Rose' pattern. 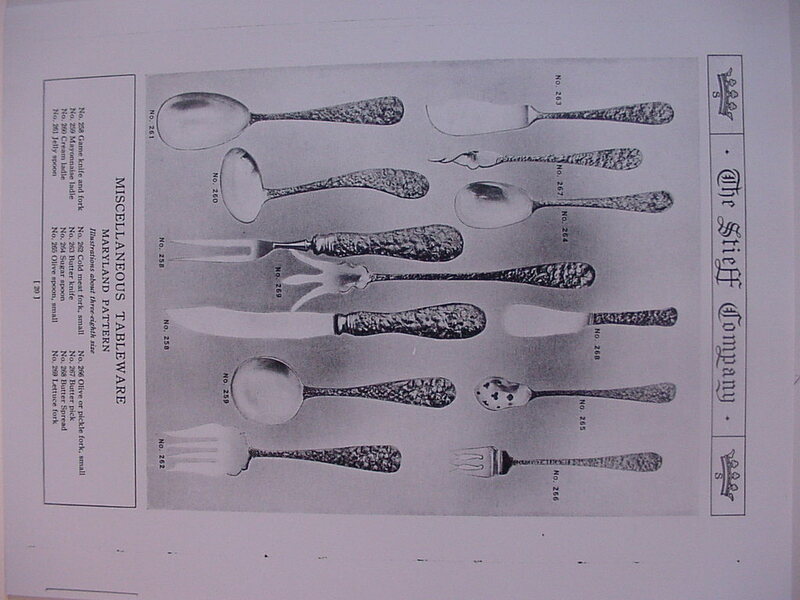 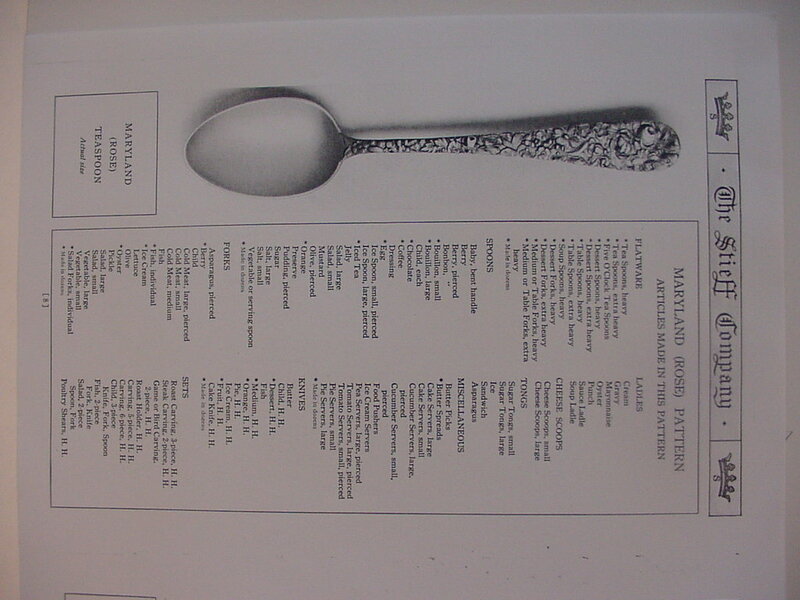 Note the early and rare style of the salad fork on page 9.